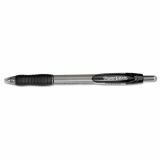 Retractable ballpoint pens provide 1.4mm super bold, extra-smooth writing system. Delivers smooth and vivid lines. Comfort grip provides an effortless writing experience. 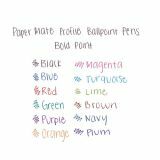 Pen unites the smooth feeling of a gel pen with a quick-drying, super bold ink. 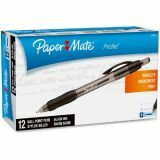 Paper Mate Profile Retractable Ballpoint Pen, Bold 1.4mm, Black Ink & Barrel, Dozen - Experience fluid, effortless writing with the Paper Mate Profile Retractable Ballpoint Pen. 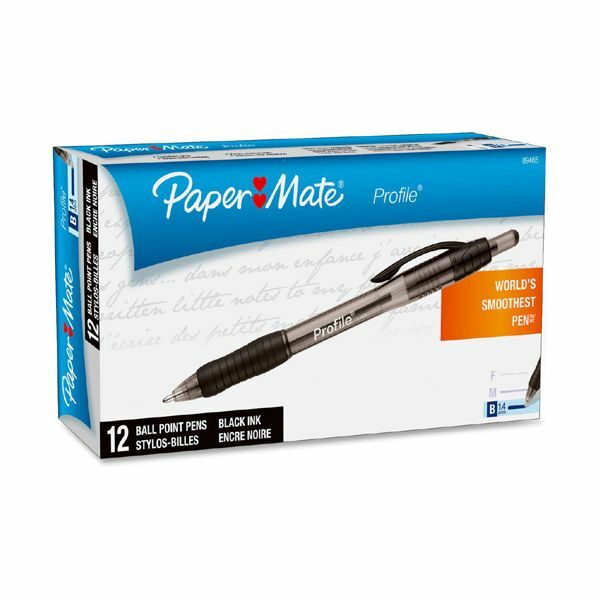 The bold ink dries quickly to help reduce smudges for tidy, clean writing, while the click-advance retractable tip protects pockets and purses. 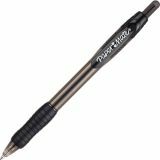 With its smooth-flowing ink and soft contoured grip, this pen keeps you comfortable during extended writing sessions. 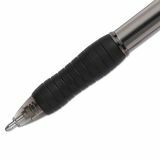 Click-advance retractable ballpoint pen tip helps protect pockets and purses. Barrel matches the ink color.